A new study from the University of Toronto's Faculty of Kinesiology & Physical Education has found that moderate to vigorous physical activity may help regulate the levels of C-reactive protein – an important biomarker whose levels rise in response to inflammation or infection present in the body. High concentrations of C-reactive protein (CRP) are associated with a higher incidence of disease and mortality in women diagnosed with breast cancer, so strategies to decrease their levels are important to improve prognosis and health outcomes, says Professor Catherine Sabiston, a Canada Research Chair in Physical Activity and Mental Health and lead author of the study. Increasing physical activity levels may be a cost-effective, non-pharmaceutical treatment that can mitigate CRP concentrations after a cancer diagnosis, she says. "In this study, we found that physical activity is consistently related to better immunity in the early survivorship period post-treatment, when inflammation could relate to other illness or disease and when the women are focused on getting past treatments and overcoming the lingering side-effects of breast cancer diagnosis," says Sabiston. Although previous studies have found that moderate to vigorous physical activity decrease the levels of CRP, most of the evidence regarding the benefits of exercise for breast cancer patients was based on controlled and supervised laboratory-based interventions that fall short of describing naturally occurring developmental trends in physical activity and CRP over time, says Sabiston. This study followed 138 women over the first year after being treated for breast cancer, comparing each woman's physical activity trends over time to her own levels of CRP, as well as comparing each woman against the larger group of survivors. The researchers made five data collections over the year, during which the women filled out questionnaires, wore accelerometers for seven consecutive days to measure their physical activity and provided blood samples to measure their CRP concentrations. "We found that when women exercise more than their own personal average, they have better immune function," says Sabiston. "We also found that women in our sample who were generally more physically active have better CRP outcomes compared to women in the sample who were less physically active." The implication here is that it is never too late to start exercising, says Sabiston, and when you do exercise any more than usual, it is beneficial. 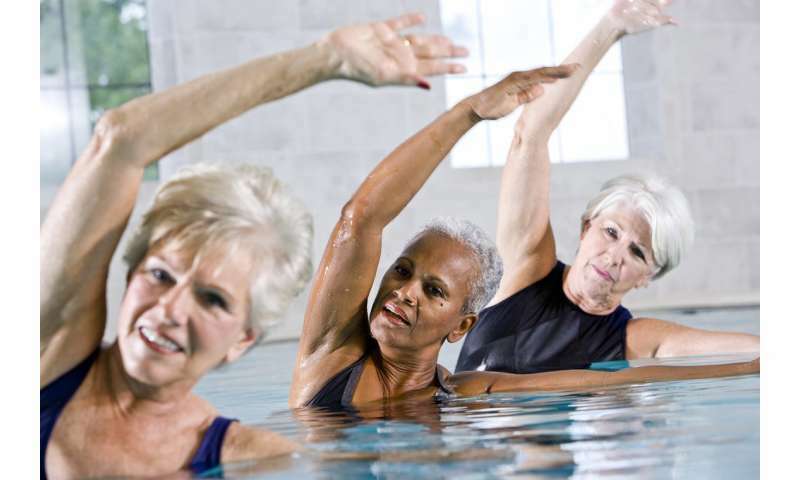 Sabiston hopes the results of the study will lead to health professionals encouraging women to engage in moderate to vigorous physical activity early after a breast cancer diagnosis and treatment to improve immune function and general health and well-being. "A specific understanding of the association between moderate to vigorous physical activity and inflammation during the first year [of] post-treatment for breast cancer helps to inform behaviour modification strategies and improve health and disease outcomes," she says.